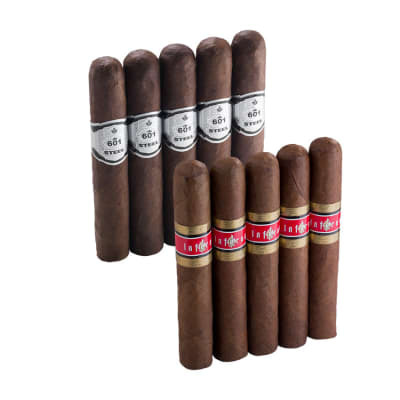 This Wingman sampler includes 10 of the most flavorful Nicaraguan cigars at a price so affordable you'll do a double take. 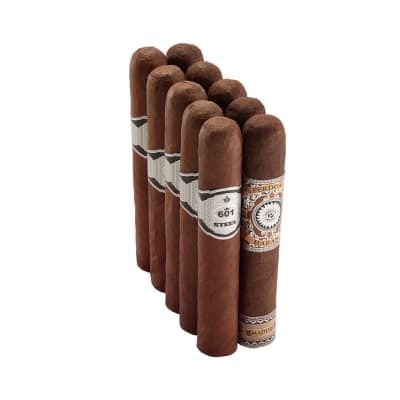 The robust Perdomo Habano Maduro offers sweet, dark and complex tobacco flavors, while the robust 601 Blue Maduro brims with ultra-smooth caramelized flavors. Order yours now. I give them a high satisfaction rating. I like perdomo but the habano are my favorite. 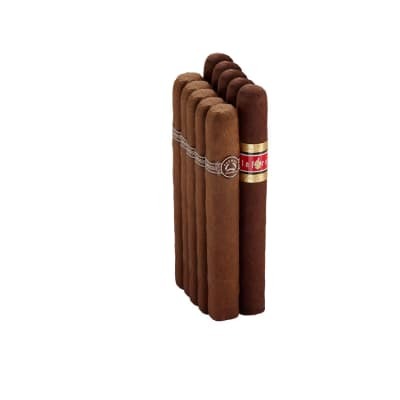 After going through a couple free 5 packs that I got using a promo code I got with my first order I can tell you these are very reliable and consistent good tasting cigars. Get them when they are on sale, you will not regret it. The 601 Steel is a well constructed cigar. 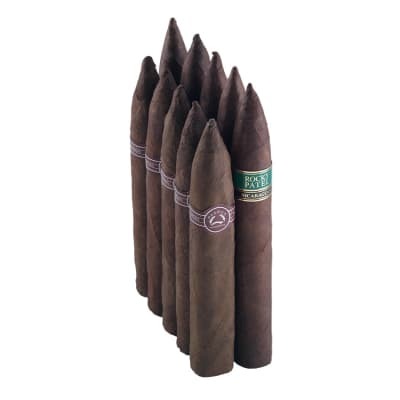 It is medium to full bodied with good spice and plenty of smoke. There were no burn issues. I would definitely purchase again.